Are you using these common excuses for not making calls? It’s time to get over your resistance to picking up the phone – and start gaining new business. EXCUSE 1 – No one is ever in when I phone. Be smart, and choose the right times to contact your prospects. For instance, don’t ring a school at 3pm when it’s obvious that it’s the most hectic time for them. Importantly, never use ‘people not being in’ as a reason to give up. You might make 20 calls and only speak to 2 people. BUT all that matters is that you present yourself in a compelling way when you do reach those 2 people. EXCUSE 2 – I’m far too busy. Just one hour every week, highlighted in your diary and acted on, consistently, WILL make a difference. Not only will it help build your pipeline and potentially find opportunities, it will do wonders for your confidence. If you’re serious about getting results, then you will find time. Believe me, your competitor won’t be too busy to find time to make calls. EXCUSE 3 – No one is interested. This normally means you’ve called a handful of people who’ve not been positive about your call, and this has put you off. If your calls are structured in the right way and are aimed at engaging the decision maker, you’ll find people who are interested. Importantly you must believe in whatever you’re promoting. Consider some training in dealing with objections– this will help to minimise the “no one is interested” mindset. EXCUSE 4 – The list or database I’m using is rubbish. I agree – you are only ever going to be good as the database you are working from. If you’re grappling with poor quality data, communicate this to a line manager so they can do something about it. But make sure you’ve made enough calls to come to this conclusion. This doesn’t mean ringing 7 companies and then giving up. If you want to be successful at calling, be proactive. EXCUSE 5 – There are too many companies like ours already making calls. / Too much competition. Competition is healthy. Although multiple companies appear to be selling the same product or service, I can guarantee they will each have unique selling points. This is where ‘personal branding’ is key. Sounding positive, enthusiastic and taking an interest in your prospect will get them sitting up and listening to you – you’ll immediately stand out from most other callers. Use relevant case studies to differentiate yourself. Do research and use what you know during your call to ensure they remember you. If everyone worried about competition, no one would make calls. EXCUSE 6 – We haven’t got any marketing material to send out. Do you really believe people will reject you if you haven’t got any materials to send out? As nice as it is to have swanky brochures, people buy people first. If you’ve had a good call, the best thing you can do is send out an email after the conversation – but do check with your prospect that it’s OK to follow up via email. If you arrange to see prospects face to face, a simple business card will be fine in the first instance. EXCUSE 7 – We won’t be able to deliver what they want in a timely fashion. This is a valid concern. Sometimes other departments or individuals let us down. If you’re ringing about a promotion, knowing that you’re low on stock, or trying to make appointments and fear the rep will end up cancelling, then you’ll shy away from picking up the phone – and with good reason. Managing your potential customers’ expectations is important if you’re serious about forming a long-term relationship. Planning and preparation are the keys to success here. Never make a call knowing you can’t fulfil what you’re proposing. Deal with any practical concerns before you pick up the phone. It’s true! Telesales, done the right way, can bring in lots of business. It can also be totally painless, and even fun. 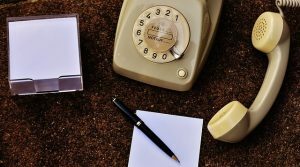 Read on to discover 6 painless telesales techniques that really work. Telesales is effective because it lets you make sales through human conversation. But, because you’re on the phone, you can contact way more prospects in a given time than you could by meeting them face-to-face. It’s pretty cost-friendly compared to other sales and marketing techniques. So why are so many people put off using telesales? First of all, it gets associated with quick-fix cold calling, which I agree is ineffective and a waste of time. Secondly, I often meet business people who are reluctant to use telesales as they’ve made a small number of calls and experienced rejection, or they have the wrong perception of ‘prospecting’, OR, they’re afraid to pick up the phone, full stop. BUT there are ways to make telesales work for just about any business. When you use the phone to help you start a relationship and you see it as an opportunity to warm prospects up in order to build a worthwhile pipeline, then it’s a great tool to assist with increasing sales. Remember, it’s not the only tool. Mixed with mailshots, social media, and other tactics, the results from telesales can be awesome! To make telesales work you have to focus on having quality conversations, not on a quantity of conversations. You also have to make building relationships your priority. I gained one of my best ever clients through telesales. It took me 13 calls (including “away on holiday”, “out of office”, and “not interested now call back in a couple of months” type calls), and around 5 mailshots, over an 18-month period. Those calls resulted in over £15,000 worth of business, just initially. The lifetime result was truly worth the time and effort – this client has now been with me for 12 years. Yet many sales people give up after 3-4 calls. Below are some of the strategies that I’ve used to stay motivated and focused while calling prospects. 1. Got a prospect who hasn’t got a requirement now, but hasn’t said NO? Develop the relationship by asking other questions that could help you in the future when they are in the market to do business. 2. Make sure you are speaking to the right person FIRST TIME. 3. Build trust and credibility by following up when you say you will. Too many salespeople fail to follow up in a timely fashion. This is a great opportunity to prove to the decision-maker that building a relationship is your first objective, followed by doing business with them. 4. Use a CRM system to record and track activity and relationships. Buddy CRM and Salesforce are great for sales people. 5. Develop some great open-ended questions prior to making the call, to get your prospect talking. 6. Focus on having effective conversations instead of 100s of dial spins. You will ultimately find the ideal company to do business with. Do you have the skills to engage employers by phone? The telephone offers you an excellent way of establishing and deepening good relationships with employers, which over time, will lead to business. But does your team really have the skills to engage employers by phone? And of they do are they using them to best advantage? Providers are often encouraged to attract new businesses/employers, yet over the phone the word ‘engagement’ is overlooked. When I say overlooked what I mean is I’m still surprised at the number of individuals who ring employers and fail to establish a need by aiming to have a two way conversation that uncovers real needs and wants. When you fail to engage employers properly you lessen the chance of ‘standing out from the crowd’ and the employer then has difficulty in seeing the benefit of becoming a customer of your college. Aim to follow the 75%/25% ratio. 75% of the time the employer should be talking the rest of the time it should be you. After you’ve introduced yourself start your next sentence to the employer ‘just out of interest, what do you do in terms of….’, or ‘I’m interested in finding out…, using this technique will encourage you to ask a question. Ideally an open ended one, which starts with What, Where, Who, When, How. Implementing just one of these steps will make a real difference to the quality of the conversations you’re having with employers over the phone. 10 cold calling myths you should totally ignore! It wouldn’t come as too much of a shock to know many individuals, new to cold calling, will probably start by hating it within the first few days. They will fear prospecting by phone with the reason being that they actually believe the cold calling myths they keep hearing – without even giving it a second thought. Most of the myths relating to Cold Calling are bogus and completely WRONG. Reality: Sales is only a numbers game when all you know is traditional cold calling. Yes, you can call people over and over; chase them until they listen to you so that you just go away. However there is a better – easier method of building trust and getting your product or service message across – all on one call. Think quality over quantity – simply by changing your sales approach you’ll make FEWER CALLS and MORE SALES. Reality: You will never be close to a yes unless you are doing the exact thing required and doing it right. The preceding ‘no’ can never guarantee you ‘yes’. Practice does make you better at what you are doing but only if you have the passion and willingness to learn. So remember you do not have to go through the ‘No’s’ before encountering a Yes. Myth # 3: You have to be a great sales person to be able to get good results on cold calling. Reality: Not at all. The best people are normally those who naturally are courteous, professional and strive to take an interest in the prospect. 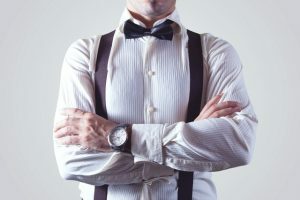 Prospects are now much more aware of the ‘sales tactics’ used by over polished sales people. So being yourself and remembering to focus on finding out about the prospect not flogging what you have will open doors for you! Reality: Anyone you interact with over the phone may be a prospect or an influencer to the decision maker. He may even be the decision maker in disguise trying to extract the truth; therefore, do not take the gatekeeper lightly. Treat them with respect but remember not to give too much away – save it for the right person. Reality: The fact is that you should try a minimum of 8 times before giving up on a prospect as you need to tap in to them at least 7 times before they register your message as a benefit to their business. Over one year it took me over 12 calls to make a contact with a key decision maker. I only spoke to him twice but two years on he’s now a customer of mine! Persistance with integrity pays off! Myth #8: Open the phone book, make calls….. Reality: Random calls made to random companies will not result in business. Research your calls, make sure you are talking to your target audience. Understand your sector and how you can add value and benefit to whoever you are calling. Reality: The goal of a sales person should not be just about closing a deal. Instead, you should focus on determining if you and your prospect are the right fit. By focusing on this, you can alleviate the problems and develop trust and natural dialogue. Your prospect will develop confidence in you and a business relationship will start to emerge.. Reality: Cold calling today is direct, targeted and above all it’s a communication skill. Those who disparage cold calling are totally missing the point. 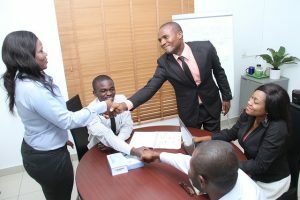 The bottom line is that no matter where you find a lead, whether from networking or a referral (or even if someone calls you) at some point you will need to speak with that prospect on the telephone and if you are not able to communicate the value of the product or service that you represent, you won’t get the customer. Be clever – do not fall for the myths about telesales and cold calling. Be a smart cold caller and pilot your own career; once you let go of these myths, you will eventually master the art of cold calling. Within no time you will willingly want to use cold calling over other prospect methods. After all, a cold call is equivalent to meeting a stranger in person or attending a networking meeting and developing a mutually beneficial relationship.